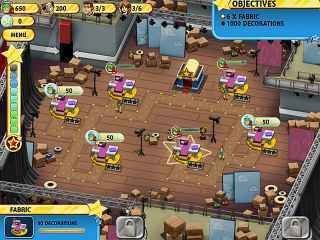 Free Download Deco Fever Game or Get Full Unlimited Game Version! Go behind the scenes of Deco Fever, a new TV show that provides a glimpse into the world of TV! 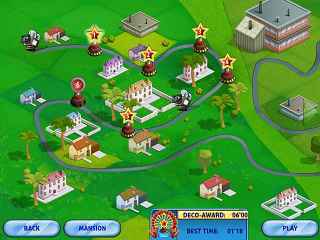 In order to get advantaged of playing Deco Fever full unlimiteg game version you must register the game. Go behind the scenes of Deco Fever, a new TV show that provides a glimpse into the world of TV! Help Clara pursue her dream of restoring her mansion by cleaning and decorating rooms! Unfortunately, Kevin, the presenter has wildly different ideas about the future management of the manor. Adding to her troubles, the city could seize the property! Clara will have to work in record time to meet her goals in this new Time Management game! Take care of some of the strangest patients you'll ever meet, each with their own personality, as you save the world from the funniest outbreak ever! Help the LEGO Brothers bring color back to their world with an exciting mix of puzzle, action and matching levels in LEGO Fever!